In the brand new Destiny 2 Curse of Osiris expansion, there are a slew of new activities to undertake, including the new Tree of Probabilities Strike. In this Destiny 2 Tree of Probabilities Strike guide, we'll be walking you through how to complete the entire mission as easily as possible, as well as how to take down the final, powerful boss of the Strike. If you instead need anything else at all to do with Destiny 2's latest expansion, including how to access all the brand new content, as well as a comprehensive list of all the new item Shaders and ships, be sure to check out our Curse of Osiris guides walkthrough hub. Firstly, you might notice that this mission seems awfully similar to a previous mission you played in the Curse of Osiris story. This is because it actually is the same mission as the one where you have to recover the map to locate Panoptes, albeit without the same story beats. Therefore, you'll once again start at the beginning of the Mercury hub zone, and venture forth into the Infinite Forest. For the Tree of Probabilities Strike, we'd highly recommend you equip some single shot weapons with solid stopping power. A powerful hand cannon can go a long way in this Strike, when you're facing off against some tough Cabal enemies, as can a scout rifle that pack a punch. We'd also recommend going with a Power weapon that has a decent blast radius, so stay away from swords, snipers, of fusion rifles, and instead go for a powerful rocket/grenade launcher, or even a shotgun. 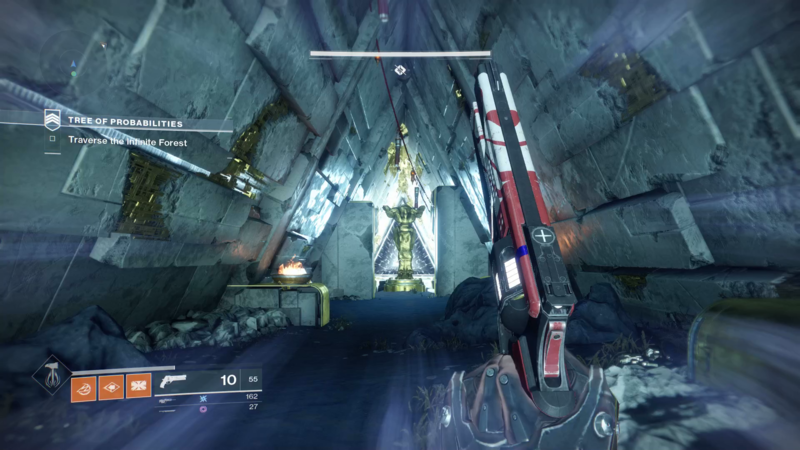 Right from the jump in the Tree of Probabilities Strike, you'll notice that there are both Cabal and Vex found in this Strike, and plenty of numbers too. We'd recommend focusing on thinning out the numbers around the large circular structure in the Mercury hub area, before pressing forward. The Tree of Probabilities Strike is definitely one where you're going to want to stick together. Once you're eventually in the Infinite Forest, it's a fairly simple case of pressing forwards and opening all the gates you find in front of you. 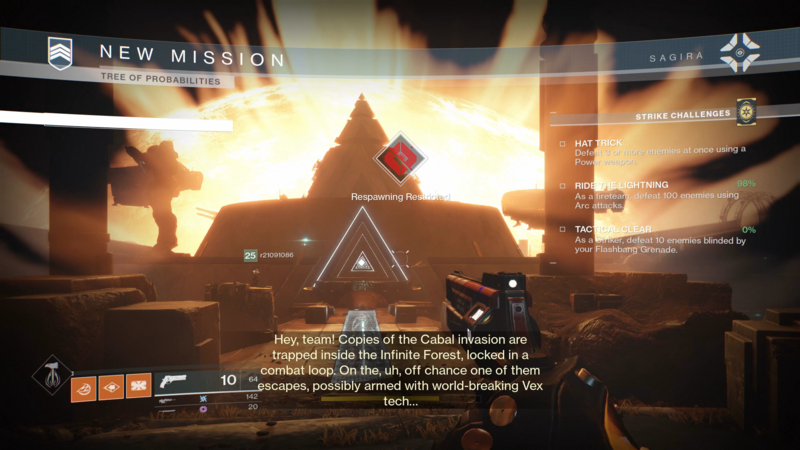 Your Fireteam won't find many tough enemies in this section, except from where you can run into some fairly nasty Hive enemies, although we should note that you can easily run past them and straight to the exit of the Infinite Forest. 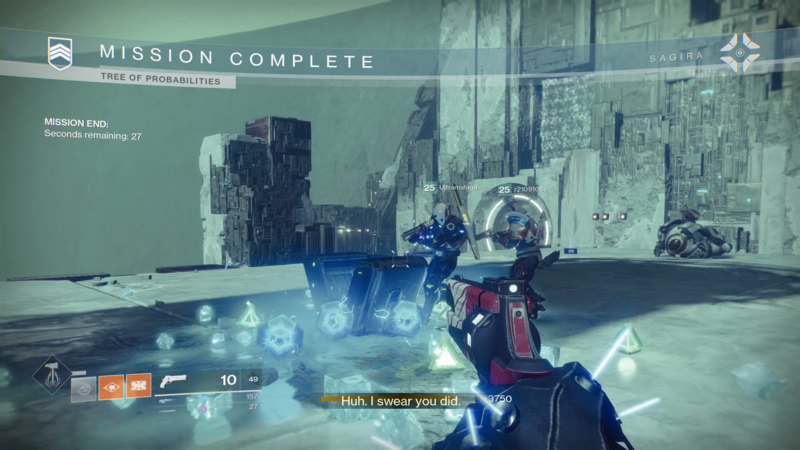 Next, you'll find yourself back on Mercury once again, faced with another load of Cabal and Vex to take down. 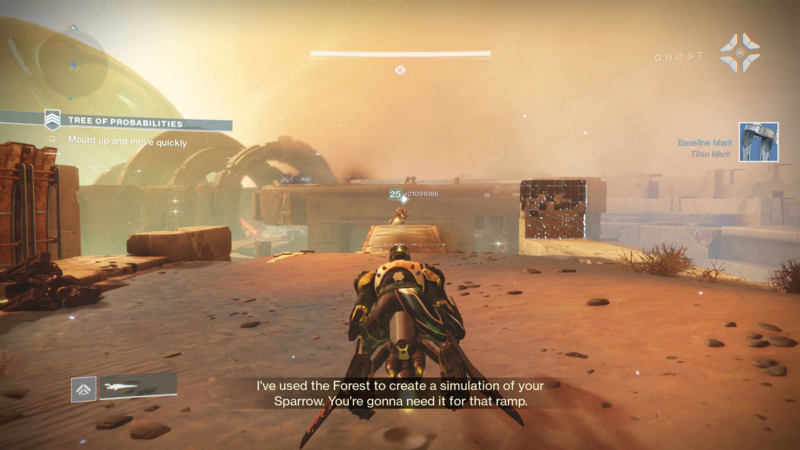 While it's paramount that you take down all the enemies you encounter in the initial area, you can jump the gap in the map with your Sparrow, and then continue straight past all the enemies that you encounter next. Simply continue ahead on your Sparrow, and hop off when you see groups of red laser beams ahead of you. At this point, you'll want to hug the left edge of the map area, and press forwards on higher ground, weaving your way in between all the groups of red lasers. Once you're in the next area, you'll find yourself up against some fairly easy Cabal troops, before coming face to face with Valus Thuun, the boss of the Strike. 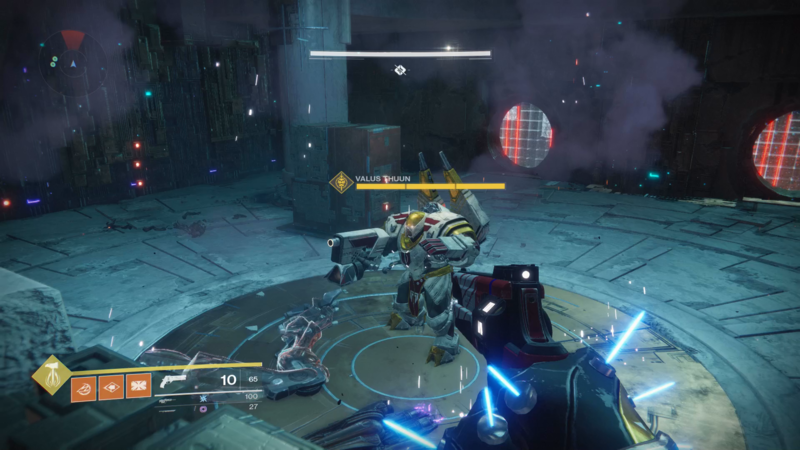 Valus Thuun introduces himself in fairly dramatic fashion, taking down a Vex boss before turning his attention to your Fireteam. There are three stages to this climactic boss battle, all of which involve some deadly lasers cutting across the battlefield, which can cut through your Fireteam like a knife through hot butter. Apart from staying well away from the lasers whenever they appear around the area, the fight with Valus Thuun is actually a fairly simple one. As soon as the boss summons minions into the arena with him, focus your fire on thinning out the troops, and Valus Thuun will retreat to the next arena of the boss fight. Simply follow him through the various battlegrounds, taking care not to get caught in the laser traps, and your Fireteam should make short work of this Strike boss. Once you've defeated Valus Thuun, the rewards for completing the Strike are yours to claim, and since you can only complete the Tree of Probabilities Strike on the Heroic difficulty setting, you're almost guaranteed to get some fairly valuable loot items. Now that we're done with our walkthrough for the Tree of Probabilities Strike, why not check out some of our additional Curse of Osiris guides here at USgamer, including how to get the Prometheus Lens weapon, as well as our guide to the Garden World Strike.